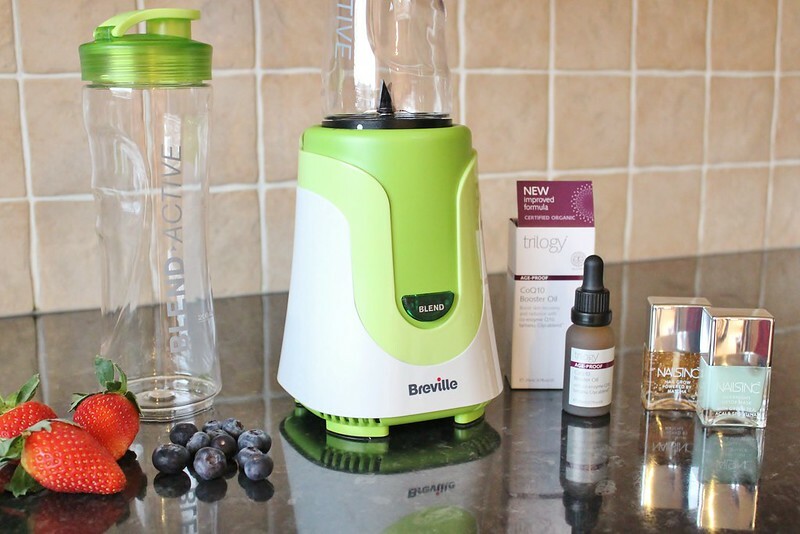 January is the month where the word 'detox' seems to crop up over and over again with everyone deciding that they spent too much time at Christmas indulging in endless supplies of chocolate. I try to be healthy and have a balanced diet but I have let slip in the last few months. When it's cold and gloomy, who wants to be eating a salad? I was a bit slow with starting the new year being a bit healthier and I'll never be the type to eat kale and quinoa everyday but there's no harm in trying to pick the healthier option where possible. Even though January has now (thankfully!) 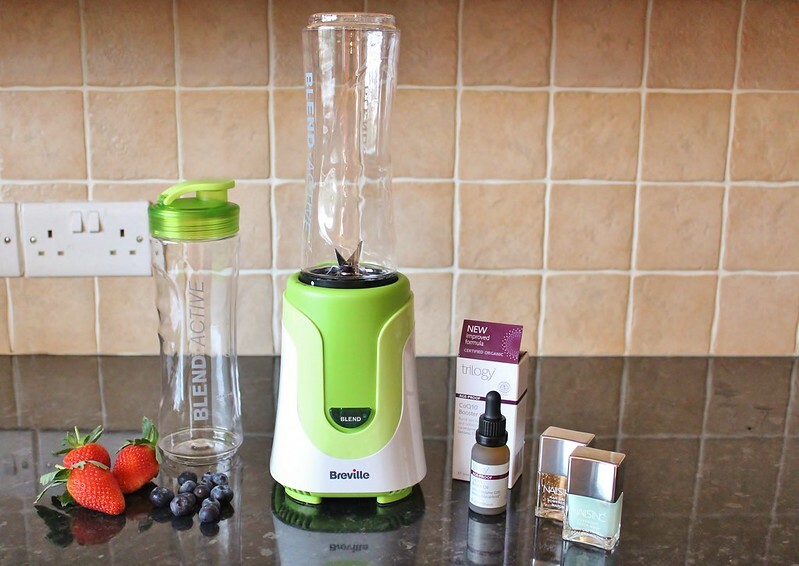 passed, I have been loving the Breville Blend-Active* to make quick smoothies and juices for breakfast and to take to work. I love this handy little machine and the fact that there is minimal washing-up is the best thing about it. As well as being healthy from the inside, healthy skin is also a huge factor for me. I am skincare obsessed and never miss a day of doing my skincare routine. The new Trilogy CoQ10 Booster Oil* is charged up with a blend of superfood oils including, Chia, Strawberry and Blueberry to recharge and revitalize skin. I've recently started using this as my skin is very lacklustre and extremely dry due to the freezing cold weather. Adding this to my cleansed face before bed means I wake up with super soft skin that has more radiance. Ever thought of detoxing your nails? Constantly painting and re-painting my nails mean it has taken it's toll on the health of my nails making them flakier than normal and rather discoloured. I have heard a lot about the Nails Inc Overnight Detox Mask* and was really intrigued by what it is... a mask for your nails! Infused with Green Tea and Acai Berry applied to your nails will help detoxify and hydrate the nail bed. I certainly don't have a routine for my nails, so adding this in will be sure to help the damage they already have. Keep the superfood for your nails going with another nailcare addition. Who doesn't want healthy and strong nails? The Nails Inc Nail Grow Treatment is powered by Matcha which is concentrated green tea leaf powder. All you have to do is massage this into the nail bed twice a week to encourage growth.